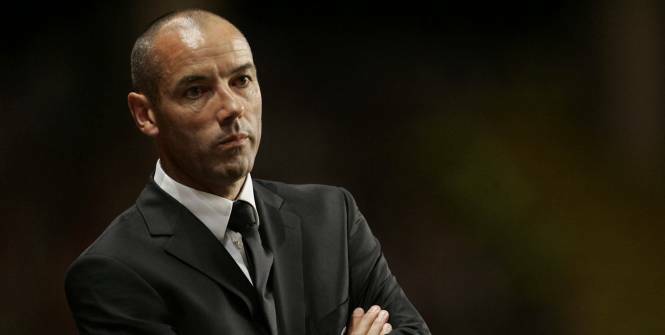 The Nigeria football Federation has resumed it search for foreign manager for the Super Eagles job due to the decline of offer from Coach Paul Le Guen of French, whom was earlier penciled down ahead of others to manage the Super Eagles. Guen could not strike compromise with the NFF on certain conditions he put before the Nigeria Football Federation (NFF). The much anticipated foreign coach puts his conditions as he will be working from his foreign based to mange the Eagles which the Nigeria Football Federation turned down. This development has put the Nigeria Football Federation in further search for a foreign coach for the Super Eagles. The initial arrangement was coach Paul Le Guen will be the Technical Adviser while the Nigeria trio of Coach Yusuf Salisu, Immapakabo and Aloy Agu would provide him the home assistance as his Chief Coach, assistant coach and goal keeper trainer. Now that the world cup draws are made already, the Super Eagles need a manager either foreign or indigenous, if at the end of the day foreign manager could not be secured coach Yusuf Salisu would be the home front coach as manager of the Super Eagles, which he had being doing before now. Coach Salisu had been on the background assisting lots of Eagles coaches’ late Keshi, even Sunday Oliseh. The Nigeria football Federation should as a matter of fact secure the services of a substantial coach for the Super Eagles to prosecute it world cup qualifier matches. Whether the Super Eagles will qualify to the world cup or not would be determined first by securing the services of a substantial Manager for the Super Eagles, for preparation.